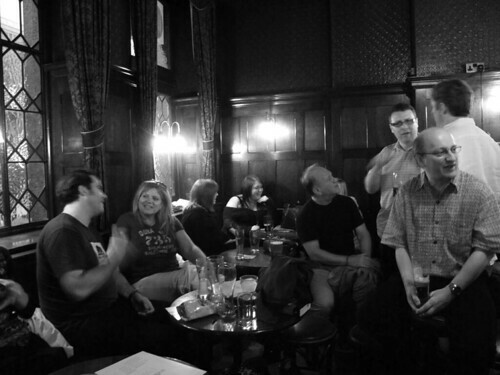 For the past two years we’ve met regularly in Brighton (WriteClub London meets once a month). Every month, a small number of writers meet for coffee (in the morning) or beer (in the evening). Numbers vary at every meeting, attracting between 4 and 25 people (usually somewhere in the middle). Our conversations cover everything from the challenges of freelancing and finding writing work that pays to the craft of the creative writer. WriteClub regulars include copywriters, authors, poets, journalists, novelists and artists. Our get-togethers are friendly, informal and inclusive. We’re just a bunch of writers (and non-writers) getting together to talk, about anything. The next WriteClub morning (morning meets are the second Thursday of every month= 8 September) is shifting venue to Small Batch Coffee on Wilbury Avenue in Hove. This is purely because a number of members asked if we could change location occasionally. So we’re moving to a new location that’s much nearer to my flat. How convenient! Figured that’s why you were so eager. In any case I may make it there as it’s half the distance. But is the tea good and cheap? Never tried their tea, but their coffee is Grade A+ !